What is a Guild Church? We are a small, dynamic, friendly choir with high standards, so sight reading is essential. It is not a huge commitment, so why not try us out and give us a go! For more information please contact our Organist and Choirmaster, Rupert Perkins, on 07957 461677, also at South London Music (Sheet Music Specialists) Website: http://www.slmusic.co.uk. 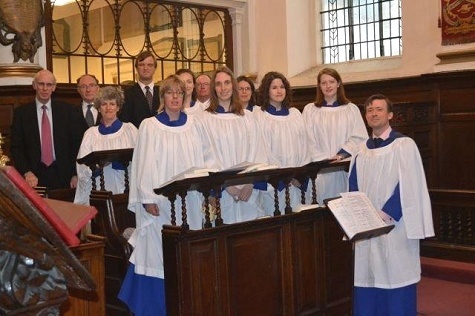 In keeping with our great musical tradition, the St Margaret Pattens Choir, is always in attendance at Choral Eucharist normally held on the first Thursday in the month. 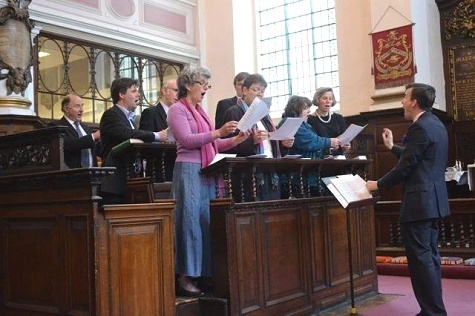 The Choir also sings at the occasional Evensong, at special Advent, Christmas and Easter services, and on special days such as Epiphany and Ascension Day; we also give the occasional concert.